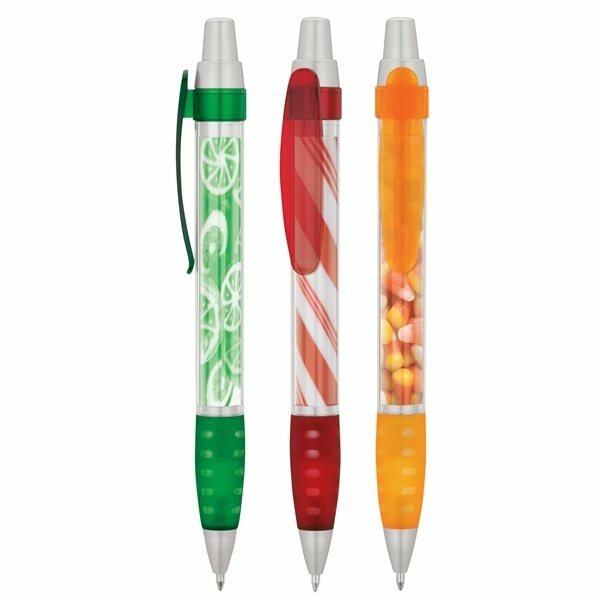 Plunge-action mechanism, clear barrel pen with full color paper insert, colored grip and clip. I needed this on a rush and Alicia was able to pull some strings and get my shirts delivered just in time for my event. Lifesaver! 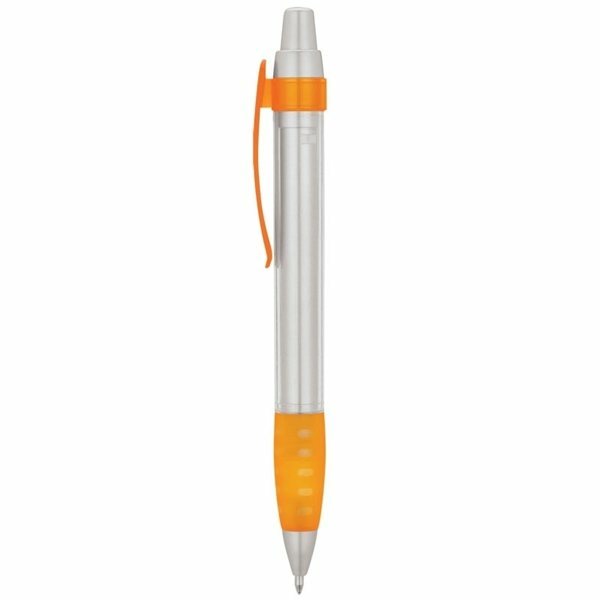 Nice looking product, top quality and everybody loves them. I really like how our logo came out. Very detailed and nice. Good quality product. 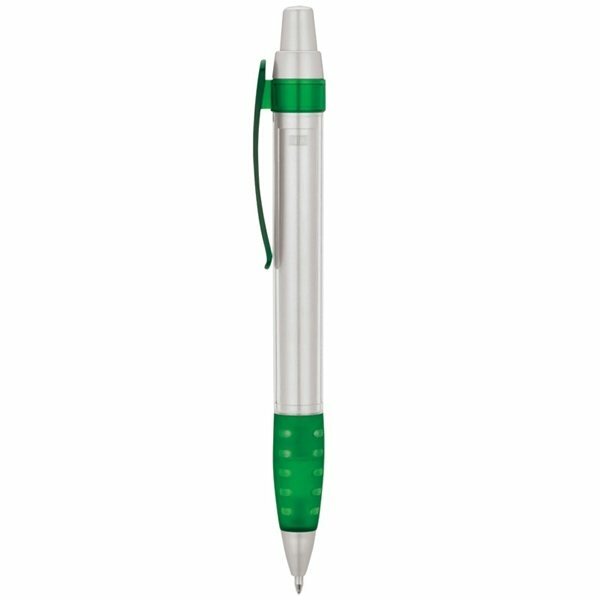 Only change - I wish we could have had more than a 2 color logo on the pen we ordered. Printing can also be very perfect, everyone wants it. Everyone loved it!